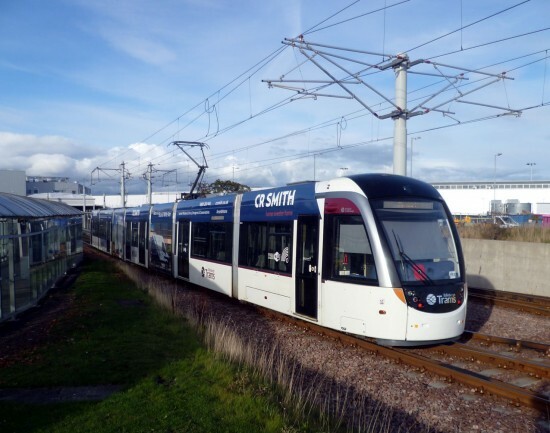 As has become the norm on most tram networks across the UK, trams on Edinburgh Trams are carrying poppies in their cabs in the lead up to Remembrance Sunday which this year will be marking the centenary of the end of the First World War. In Edinburgh the poppies are being carried prominently inside the trams in the cab windows. 275 at West End Princes Street bound for York Place with the poppy seen on the left hand side. 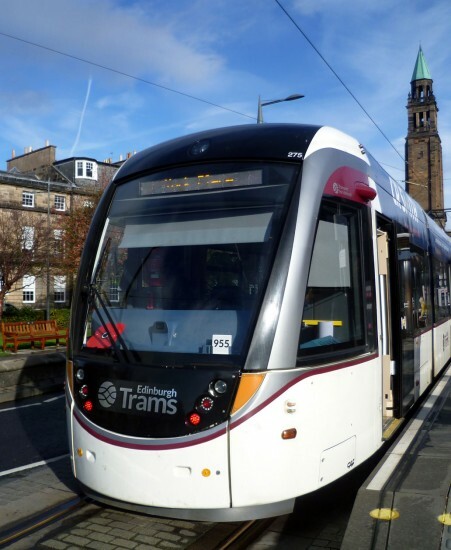 Since inauguration of Edinburgh Trams displaying a largev poppy has become an annual event.